Proven experience as area manager or similar managerial role. Sound understanding of optimization of store operation and standard of success. Exelence organizational and leadership abilities. Strong bussiness acumen with a strategic orientation. Understanding of optimization of store operation and standard of success. Knowledge of performance evaluation metrics and principles. Strong bussiness accumen with a strategic orientation. Minimal formal education is high school, D-3, and S-1. Good at microsoft office word, excell, powerpoint. Minimum formal education is high school (SMK Pastry preferable). Has experience in bakery, and cakes are preferable. 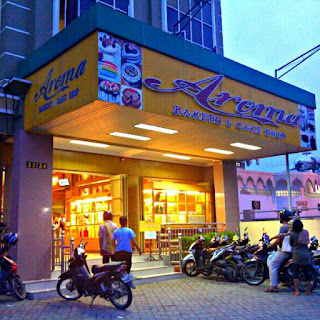 Sekian Lowongan Kerja Aroma Bakery Medan, Semoga informasi yang kami berikan dapat bermafaat. Rekrutmen Lowongan Kerja Tidak dipungut biaya apapun. Bijaklah saat mencari Lowongan Kerja, Harap baca dengan teliti, Banyak Oknum Penipuan Lowongan Kerja Bertebaran.